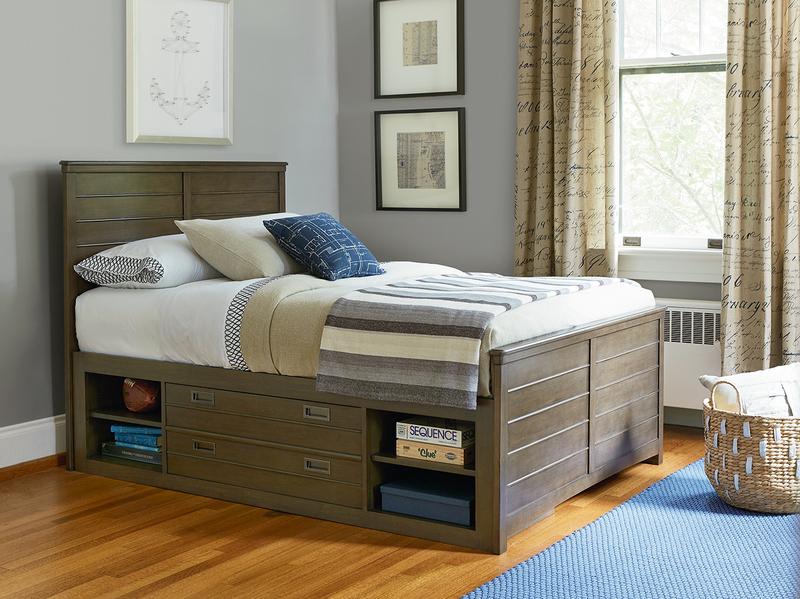 The Brennan collection is styled for the modern home, with low profile features, leather style headboard, and tapered feet. 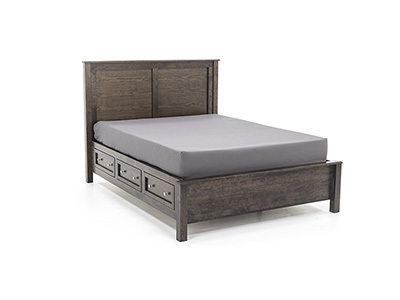 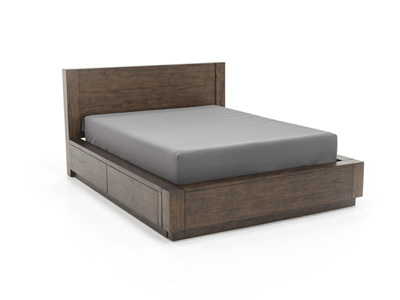 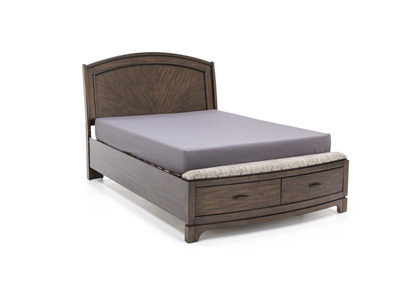 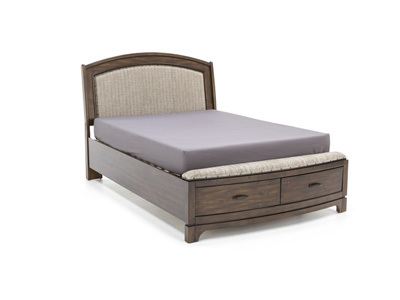 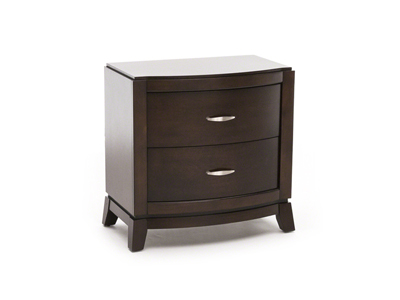 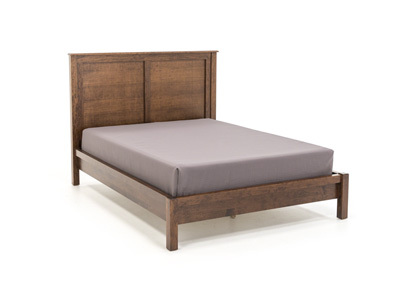 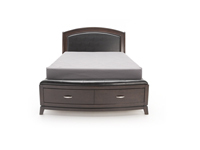 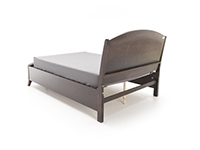 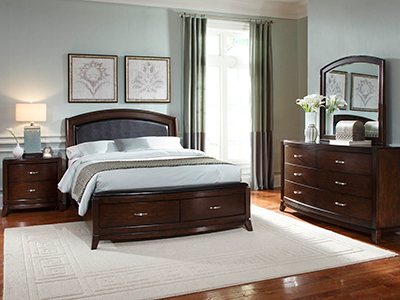 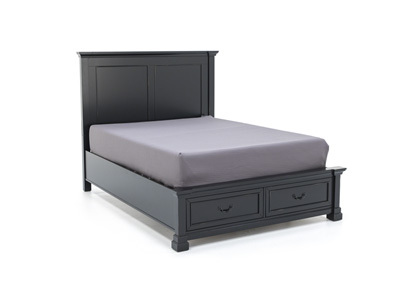 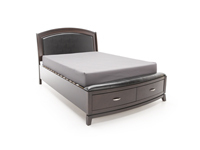 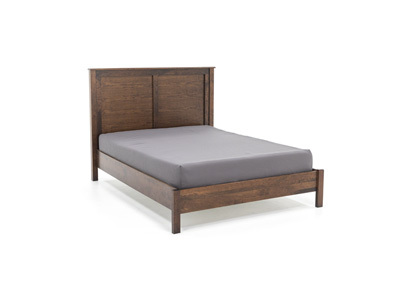 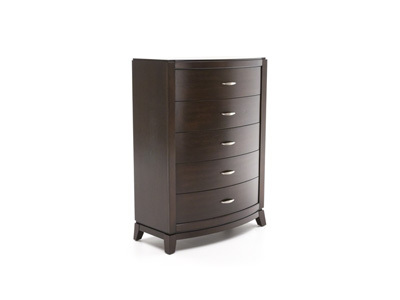 The sleek shaped bed has a footboard with two full extension felt lined storage drawers, and bed bench. 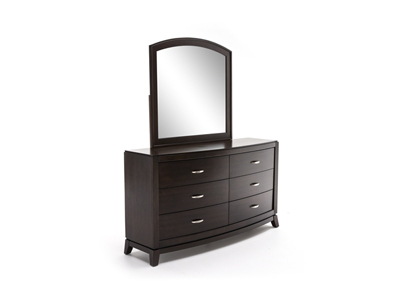 The satin nickel brushed bar pull hardware provides a perfect contrast to the dark truffle finish on the pieces. 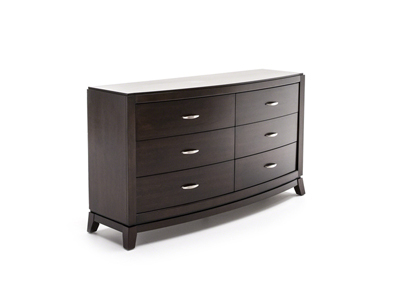 All cases have French and English dovetailed drawers, with full extension side guides and felt lined top drawers.